Among all the recent releases, Nani’s ‘Majnu’ has been the most talked about movies for the simple reason, it’s hero Nani who is on a dream run. 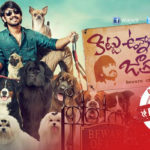 Let’s see if the movie has any connections to 1987, Nagarjuna’s superhit movie ‘Majnu’ apart from the title. Actor Nani, who is back in reckoning with back to back hits, is gearing up for the third release of the year, Majnu. Aditya (Nani), a native of Bheemavaram, works as an assistant director in SS Rajamouli’s team. He meets Suma (Priya Shri), an IT SAP consultant. Suma enjoys Aditya’s friendly banter and flirting and starts to fall for him. Aditya, being the decent guy he is, proceeds to tell her about his love for his hometown girl Kiran (Anu Emanuel) and his failure at keeping his love alive. His frankness further impresses Suma in spite of Aditya’s attempts to discourage her since he is still in love with Kiran. The twist to the plot arrives in the form of Kiran as she enters into Aditya’s life yet again. So why did Kiran to walk away from Aditya in Bheemavara? Why did she come back again? How does Aditya handle the two women walking in and out of his life? Is there a clear answer to this seemingly triangular (?) love story? Nani: He is ‘Natural Star’ for his natural acting ability has brought life into the character and he comes out with flying colours. Anu Emmanuel and Priya Shri: They are extremely gorgeous and gave a decent performance in their respective roles. Rest of the cast have done enough justice to their roles. With beautiful cinematography, stunning visuals, mesmerising music, amazing performances by the lead cast and gripping screen play, ‘Majnu’ is a definite watch. No heavy moments or boringly routine scenes, it’s all about love, music and fun. At the Box Office, the range might depend on the competition and the off-season may impact openings. Definitely another great success on the cards for the Hit machine Nani. A definite must watch for entertaining evenings (or mornings!). No strong enough reason for Kiran changing her mind.